As reported in The News, the trip is in ‘keeping with the resolve to further cultural exchanges between Pakistan and Brazil.’ My traveling companions are Noshi Qadir (Tanzara Gallery, Islamabad), Arsalan Ahmad Khan (Event Manager, Islamabad) and Kamiar Rokni (designer, Lahore). The visit lasts nine days, and covers three cities — Sao Paulo, Rio de Janeiro and Belo Horizonte. Some of you may know that I was in Islamabad over the weekend. 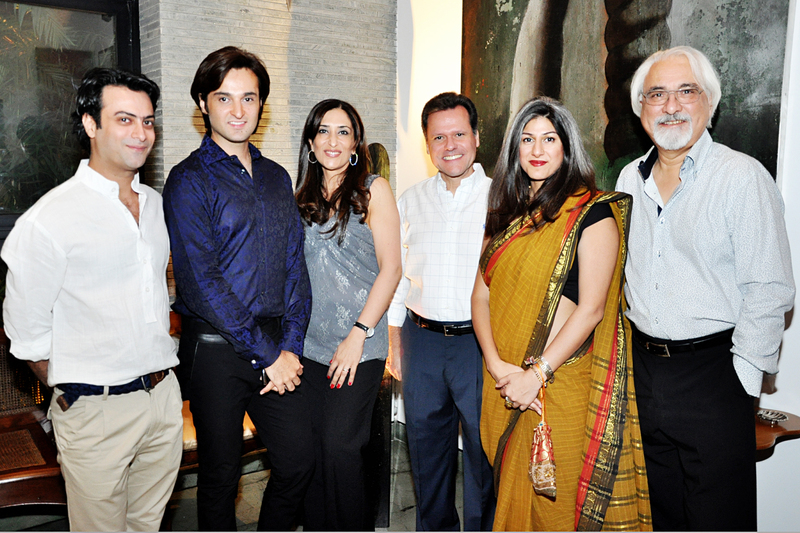 It was to attend a dinner hosted by the Ambassador of Brazil, Alfredo Leoni, to bid us bon voyage. Much fun was had! Judging by the incredible hospitality of our host and the wonderful João Carlos Belloc, the trip should be a great experience. Our itinerary is packed with visits to art galleries, museums and theaters. I’m planning to take lots of pictures, and to keep a journal that you can follow here on my blog if you’re interested in the sort of writing I did after my Delhi trip, a personal visit. With all that, I suspect that I may still find a bit of time to do some Gawaahi-ing. Please do keep the submissions coming! ..i thouroughly enjoyed ur reading ur experiences in Delhi for which drew some flak back in Pakistan for praising Delhi&its people..hope u have something similar in store for me&others when u compile ur experiences of Brazil visit..
Will be excited to read your writeup on this visit!